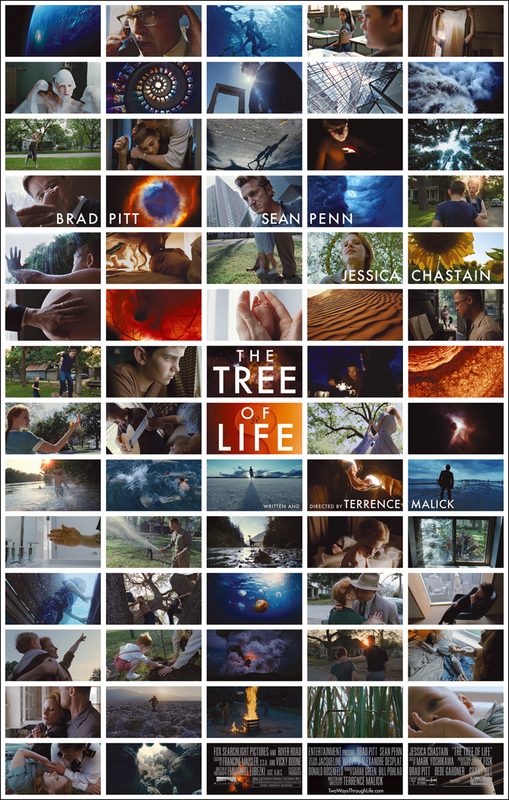 I just watched The Tree of Life the other day in the theaters, and I am trying to write a review to get you to go see this film, but honestly I am not really sure where to start. The film really tries to cover a lot of ground. A boys struggle with his father, the family life, birth, death, nature, human existence. Lots of depth to this film. That is where I fall short with this review. I really can't tell you what this film is "really" about. I think it is very metaphorical and plucks different chords with different people. When I was watching this movie in the theater the people around me gave a great example of the range of reactions to this film. To the right of me a person fell asleep. To the left, a person was figeting on the edge of his seat quietly saying phrases such as "What?! ", "Whoa", "Wow", "Huh?". Then a lady a few seat down completely broke down into tears. This is the emotional range this film produced. I loved it! The acting is great. Great child actors. Sean Penn and Bradd Pit are great of course. The cinematography is amazing! By Emmanuel Lubezki, who filmed Children of Men, Burn After Reading, The New World, Sleepy Hollow, which are all beautiful films! (Children of Men being one of my top 10 favorite movies). The film was written and directed by Terrence Mallick. If you don't know anything about Terrence Mallick, he is a quality over quantity director. He has only put out 7 films in his directing career. There was a span of 20 years between his film Days of Heaven and The Thin Red Line. I admire that in a director. Never forcing art, letting it come naturally with time. I am kinda bummed I haven't seen any other films by Terrence Mallick. I need to catch up on Badlands, Days of Heaven and The Thin Red Line.